Taper-Plus tapered-roof estimating and design software simplifies the creation of takeoffs, estimates, and other project documentation. 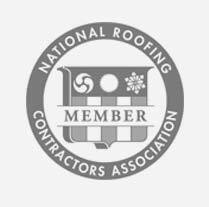 Tested under the most challenging conditions with leaders in the roofing industry over two decades. Use Top View to create metal, tile and shingle roof takeoffs, estimates, and cut lists in minutes. Save time and money while safely covered by top-notch support. Top View is a complete steep slope roofing solution designed to meet the real-world needs of roofers. Automatically calculate insulation board quantities and produce shop drawings quickly with LWC-Plus. Created in co-operation with the lightweight concrete industry, LWC-Plus simplifies the estimating, design, and drafting of lightweight concrete roofs. John and Joyce Gudaitis started Automated Systems Research (ASR) in 1990 with the tapered estimating software Taper-Plus. The first versions of Taper-Plus were pretty basic, but feedback from early users helped improve the product to the point where now Taper-Plus can create tapered estimates and takeoffs for virtually any roof. Then one of the roofing suppliers who worked with ASR on Taper-Plus came with a request: he wanted software to help create metal roof takeoffs and estimates, wanting it to do all the things for his metal roofing division that Taper-Plus was doing for his tapered roofing division. So we started testing a new product with metal roof estimators, finding out what would help make their jobs easier, and adding features based on their feedback. The result was Top View, the most detailed metal, tile and shingle roof takeoff and estimating software created for North American roofers. Then the rest of the world came calling and so now Taper-Plus and Top View are available in a metric version for international users. LWC-Plus was developed to fill the need for software that estimated coverage for lightweight concrete. Today ASR continues to improve our line of roof estimating and takeoff software based on industry feedback from our users. You have 30 days to try out our software to make sure it is right for you. If you decide to return the software within those 30 days we will immediately refund you the full purchase price.